Split albums are a nuisance I've discussed before. Sometimes, when adding a new album into your music collection, you realise that the album has been split up. You see multiple albums with the same name, with varying artist names, representing the album. Having split albums like this can make your music library more difficult to search and navigate. Fortunately, bliss comes with a rule to enforce the same track artist in all of your albums. Once these albums have been identified, it's just one click to fix each album. Frustrating, and not simply cosmetic. 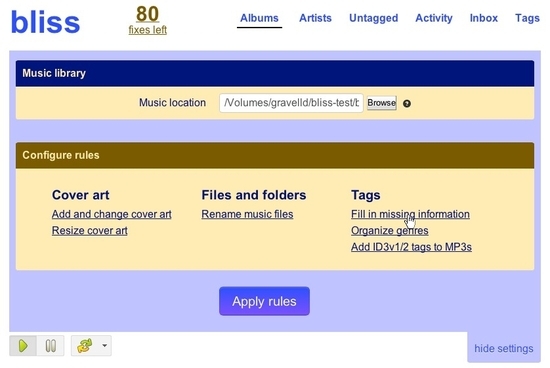 This makes your music library harder to browser and harder to search. If it were just one album like this, then maybe that's fine... trouble is there's no bounds on this, and you can end up with a lot of albums looking like this. The cause of the problem, in this case, is varying track artists. There're two options. First, you could add an album artist tag. In some ways this is preferred. 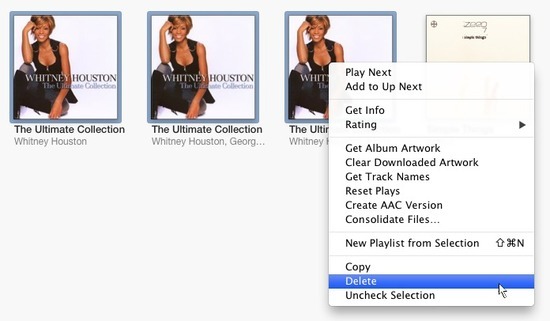 The original data is retained, and more data exists, allowing more comprehensive searching of your library (you could, for instance, find all songs that Mariah Carey duets on. Should you want to.). However, album artist tags aren't supported by all music software. In such cases, you must overwrite the track artists to be the same in every track. This is pretty simple to accomplish in bliss with the track artist consolidation rule. If you haven't already, download and install bliss. Run bliss, and make sure the album you want to change is included in the music folder bliss is currently pointed at. Click the big Set to [artist name] button, and the track artists are updated. Thanks to Kenny Louie for the image above.